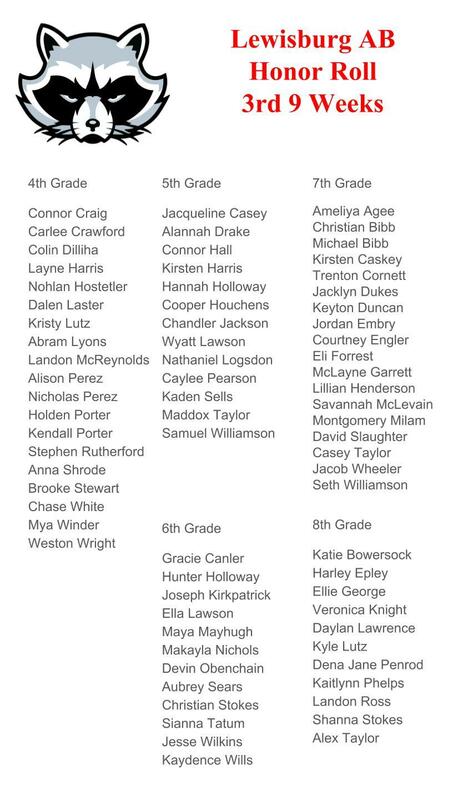 Lewisburg School has announced its Honor Roll for the third quarter of the 2018-19 school year. 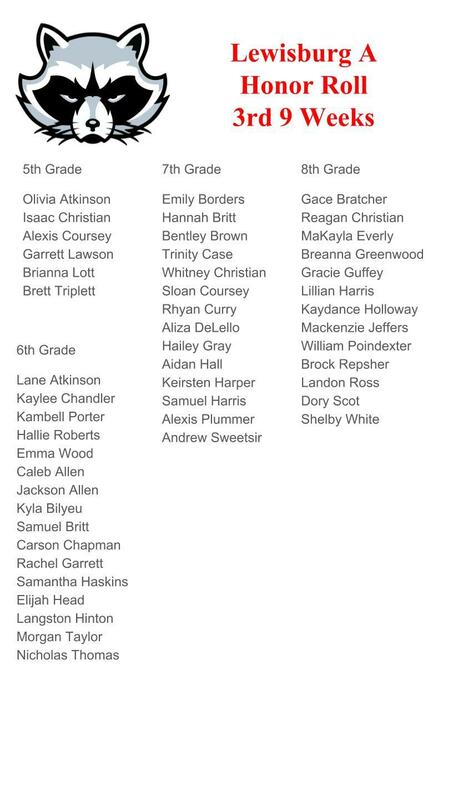 Students who made no grade below an A are listed in one picture above. Those who made no grade below a B are in the other photo. Click on the photos to read the names.